Bandler Group LLC – Consulting services in cybersecurity, cybercrime prevention, investigations, and more. Consulting services in cybersecurity, cybercrime prevention, investigations, and more. Offering consulting services, unique expertise, and diverse experience. Assess the threats and risks you face and start addressing them. Obtain the facts so that you can make an informed decision about what to do next. Are you, or is your company, the victim of cybercrime, fraud, or other crime? Secure yourself and your employees from fraud. Security and safety is not simply about buying or installing products, but investing in yourself and your team. You and your employees need to understand the threats and act appropriately. Bandler Group LLC brings unique insights in order to help corporations and individuals with the many issues that might require expertise in cybersecurity, cybercrime investigation, investigations, or anti-money laundering. We have a broad level of knowledge plus unique insights, experiences, and expertise relating to law, security, cybercrime, and digital currency. Bandler Group LLC was founded by John Bandler who brings a broad range of experience from twenty years as a prosecutor, police officer, and military officer, and experience in the private sector. This site pertains to consulting services. 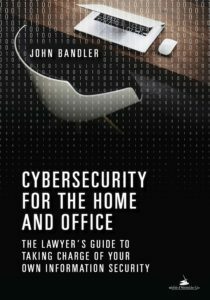 If you are interested in legal services, please visit bandlerlaw.com, my book about cybersecurity has this site, cybersecurityhomeandoffice.com, and my personal website is johnbandler.com. If you have questions or a problem in need of a solution, contact us.